There’s just one week to go to the Meffys 2014 awards deadline 8th August. The finalists of the international mobile content & commerce awards will come together in San Francisco in the Fall as part of MEF Global Forum 2014 The three-day program on 17th – 19th November brings together international senior executives looking to grow their mobile business and meet potential partners from around the globe in the heart of Silicon Valley. 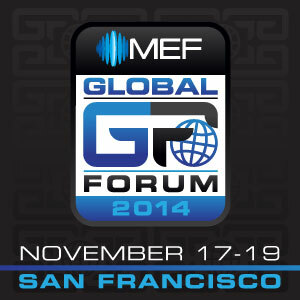 Meanwhile, we look back at 2013′s inaugural #MEFGF, with in-depth interviews and panel sessions featuring some of mobile’s leading visionaries, including Rich Riley, CEO of Shazam, Hannes Van Rensburg, CEO of Visa Mobile and Phil Libin, CEO of Evernote to name just a few, with moderators and interviewers drawn from some of mobile’s most prestigious media, including Kara Swisher of All Things D, Tom Taulli of Forbes and Michelle Atagana of Memeburn. Shazam’s CEO, Rich Riley, explains how the music recognition company went from a simple idea to an international brand and continues to expand into new regions. [youtube:https://www.youtube.com/watch?v=ljGo0qo697w&w=440&align=right]Panel Discussion: More Screens, More Dollars? This panel takes an in-depth look into successful monetization models around second-screen apps in the entertainment world and how second screen apps can provide added value. This panel explores the emerging trends and technologies in the fast paced global mobile ecosystem that major players are betting on to sustain their growth and success. 75% of apps downloads today are games. International experts share how are they monetizing via mobile through new business models, tools & technology and strategic partnerships. Silicon Valley may be the world’s tech centre but innovation tech clusters are thriving around the globe. Learn about the mobile technology boom happening in growth markets.